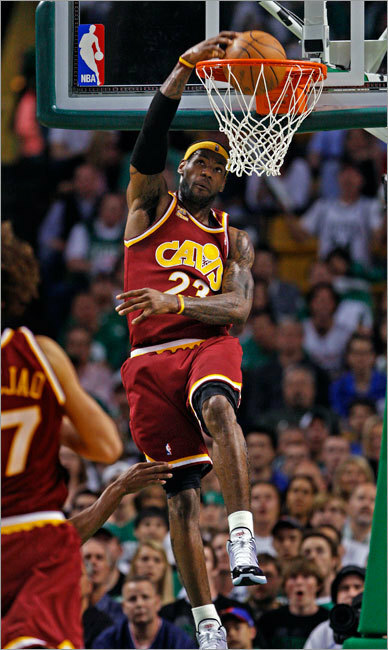 The Celtics knew LeBron James was coming. If there was a warning sign, it came after Boston’s Game 2 win in Cleveland. Cavaliers coach Mike Brown could barely hold the smoke from escaping his ears he was fuming so badly. James couldn’t have been calmer. The Celtics tried to brace themselves in the three off days. What a pathetic way to lose home-court advantage. The Celtics were slapped back into reality last night by the suddenly efficient and extremely motivated Cleveland Cavaliers, who displayed why they were so heavily favored to win this series.